﻿ USA Gymnastics | USA Gymnastics statement regarding Senate subcommittee hearing, "Strengthening and Empowering U.S. 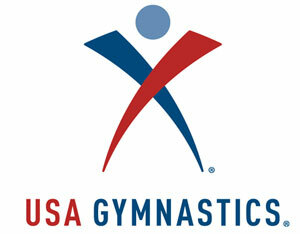 Amateur Athletes: Moving Forward with Solutions"
USA Gymnastics statement regarding Senate subcommittee hearing, "Strengthening and Empowering U.S. Amateur Athletes: Moving Forward with Solutions"
“On behalf of USA Gymnastics, I appreciated the opportunity to speak with the members of the Senate subcommittee about our organization’s commitment to creating a safe and empowered environment for our athletes. “As I have said before the House, I will say again today: on behalf of USA Gymnastics, I apologize to our athletes and everyone who was hurt by Larry Nassar. What he did to these incredibly brave women is unconscionable. “I have heard the heart-wrenching stories of the courageous athletes who have been harmed by those they should have been able to trust. I commit to you that I will keep their words and experiences at the core of every decision I make, every day, as the leader of this organization. Their stories have broken my heart, but also strengthened my resolve. Closed the National Team Training Center at the Karolyi Ranch and are seeking proposals on a new high-performance training and wellness facility. Hired a new high-performance team coordinator for the women’s program through a selection process that involved both athletes and coaches. Tom Forster, the new coordinator, believes in coaching through inspiration. Created an Athlete Task Force where our former athletes are helping to shape our organization’s future. Just two weeks ago, we announced the five core members, one of whom is a survivor of sexual abuse. Expanded our Safe Sport Department to include new regional positions to better support, train, educate and serve members. Are extensively revising our Safe Sport Policy with input from representatives throughout our gymnastics community. Are educating and training our staff, Board, and members on the new Safe Sport Policy and a new Ethical Code of Conduct. I am pleased to report that our staff and Board are 100 percent compliant with both, and beginning this season, all professional members must be safe-sport-certified as a condition of membership. Continue to implement the Deborah Daniels report recommendations. Eighty-six percent of the recommendations are either implemented or in progress—and we intend to implement all of them. Today we are making publicly available on our website exactly what we have done to implement these recommendations. Made reporting of abuse easier with a dedicated toll–free number (833-844-SAFE), email address (safesport@usagym.org) and online reporting. Have and will continue to amend our bylaws to support the cultural commitment to athlete safety. Made important structural and staff changes and reorganized the Board of Directors to have a streamlined and more focused group of leaders aligned with USA Gymnastics’ cultural transformation. Are participating in mediation to resolve the athletes’ claims fairly and expeditiously. Created an Athlete Assistance Fund, in cooperation with the National Gymnastics Foundation, which provides the survivors of abuse with the needed financial resources for counseling and medical services. “These necessary changes are not just amendments to our policies; they are part of a cultural shift that reflects our commitment to prioritize the safety of our athletes and members. We will hold our organization to the highest standards of care to become a standard-bearer for change.